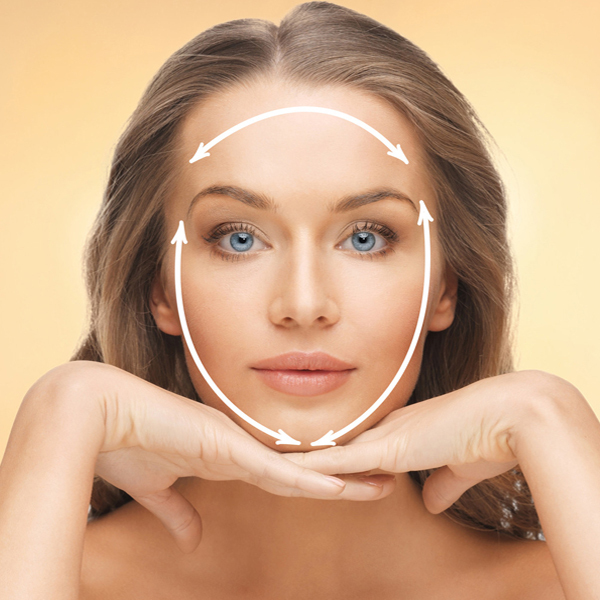 Achieve a rejuvenating facelift without invasive surgery at Bamboo Aesthetics. A thread lift treatment takes approximately 45 to 60 minutes to complete. Your face may look slightly swollen and puffy for several days post-treatment, and bruising typically occurs for around one week, so you may want to book three to five days off work to fully recover. The Thread Lift is a revolutionary procedure that enables us to rejuvenate, regenerate and improve your facial structure in a similar way to a surgical facelift, but offering a more natural look without the need for surgery. The Thread Lift uses specialised threads which are introduced into the skin with a very fine needle to lift tissue and muscle and improve skin texture. This procedure is ideal if you have mild to moderate sagging skin around your neck, cheeks and jowls. The areas that we can treat most effectively with a thread lift include the main cheek, nasolabial folds (nose to mouth lines), lower eye area, jaw line, and neck sagging. More and more people are opting for this treatment to lift sagging facial skin and provide a more youthful look. Gone are the upheavals and risks that come with traditional cosmetic surgery, but what remains is a subtle and effective rejuvenation. During a thread lift treatment, we advance fine surgical threads made from polydioxanone (PDO) along pre-decided points of your face within the subcutaneous layer of your skin. Not only do the threads create immediate lift but they also stimulate your body’s healing in response to the presence of a foreign body; this includes fresh collagen production and means that your skin will continue to lift and tighten in the weeks and months after a thread lift. PDO thread has been used for surgical sutures and medical appliances for many years and tends to be well tolerated by the majority of people. The threads will gradually dissolve over six months, leaving new collagen and younger-looking, lifted skin in their place. There are several types of thread lift available, including Silhouette Soft or PDO Thread Lifts. We have experts in both at Bamboo Aesthetics, which means that we will only ever recommend the thread lift approach that we feel would be best for you. How soon will I see the results of a thread lift? Your face will look visibly lifted straight away. As new collagen continues to form over the next two to six months, you should notice that your skin continues to lift and tighten. Most people find that the lifting effects of this treatment are most visible approximately six months after a thread lift, but that improvements to the skin can be seen for two to three years. Although a thread lift is far less invasive than facelift surgery, it does carry some risk of side effects, most of which are minimal and rare. Overall, thread lifts have an excellent safety record when they are carried out by a properly trained and experienced medical professional. What are the potential side effects of a thread lift? Side effects that have been reported for thread lifts include a risk of small collections of blood under the skin, an allergic reaction to the anaesthetic, and mild infection at the site of the thread insertion. Rarely, people with tanned or darker skin tones have experienced scarring from the insertion of the needle, but you can reduce the risk of this happening by wearing a high factor sun block in the weeks after your treatment. In some cases, people find that the threads work their way to the skin’s surface or can been seen through the skin. If this happens, we can either trim or replace the threads, as appropriate. Unlike during a surgical facelift, a thread lift will not remove any of your skin, so you may notice some puckering or bunching. If this happens, do let us know as the issue can often be corrected with a gentle massage by a trained professional. We have given a guide price for a thread lift above, but this price may vary depending on the type of thread lift you have. When you come into Bamboo Aesthetics for your initial consultation, we’ll give you a full and transparent breakdown of your treatment costs so that you can make an informed decision.